Do your shopping at Melbourne Central and Degraves Street. 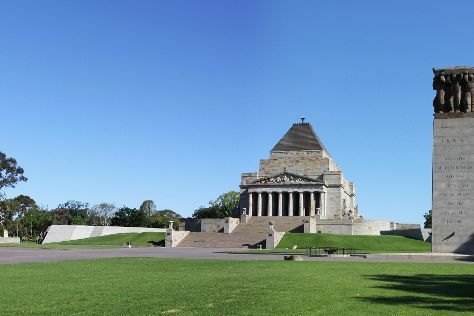 You'll explore and learn at Melbourne Museum and Shrine of Remembrance. The adventure continues: admire the masterpieces at National Gallery of Victoria, contemplate the long history of Old Melbourne Gaol, take a stroll through Collins St/Swanston St, and take in nature's colorful creations at Royal Botanic Gardens. To find more things to do, photos, traveler tips, and other tourist information, you can read our Melbourne trip itinerary planner. Dubai, United Arab Emirates to Melbourne is an approximately 16-hour flight. You can also do a combination of shuttle and flight. The time zone changes from Gulf Standard Time (GST) to Australian Eastern Standard Time (Victoria) (AEST), which is usually a 6 hour difference. Expect little chillier evenings in Melbourne when traveling from Dubai in December, with lows around 14°C. Wrap up your sightseeing on the 13th (Thu) to allow time to travel to Sydney. Your cultural itinerary includes sights like The Rocks and Australian National Maritime Museum. Art Gallery of New South Wales and Hyde Park Barracks Museum will appeal to museum buffs. Step out of Sydney to go to Manly and see Shelly Beach, which is approximately 36 minutes away. 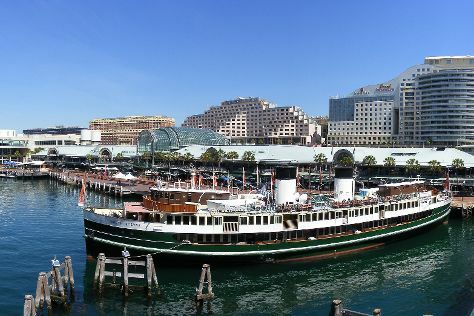 The adventure continues: browse the eclectic array of goods at Sydney Fish Market, trek along Bondi to Coogee Beach Coastal Walk, tour the pleasant surroundings at Manly Beach, and don't miss a visit to Queen Victoria Building (QVB). For traveler tips, ratings, photos, and more tourist information, you can read our Sydney day trip planner . Traveling by flight from Melbourne to Sydney takes 3.5 hours. Alternatively, you can do a combination of shuttle and flight; or drive. Traveling from Melbourne in December, plan for a bit warmer nights in Sydney, with lows around 21°C. Wrap up your sightseeing by early afternoon on the 22nd (Sat) to allow time for travel back home.